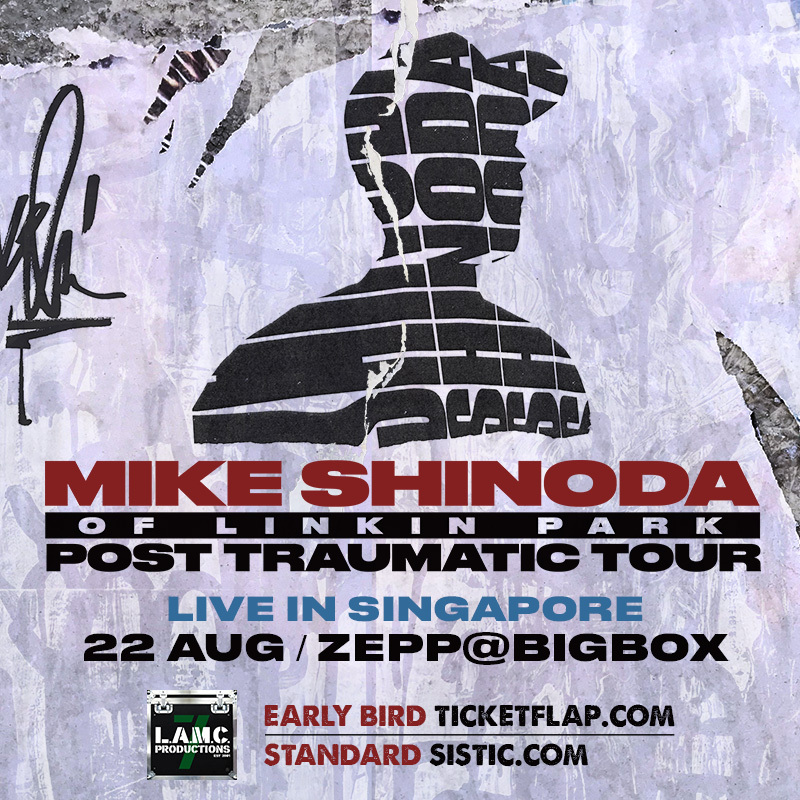 Looks like Singapore is about the experience a 'Post Traumatic' session as Mike Shinoda has announced a show at the lion city as part of his Asia tour. The Singapore show will be held at Zepp @ BigBox Singapore on 22 August 2018. Pre-sale starts at 10:00 AM on Wednesday, 6 June 2018 via TICKETFLAP at www.ticketflap.com, where tickets are priced at SGD 138 with an option for Priority-entry add-on; SGD20. After that on 11 June 2018 onwards General Public ticket sales will commence at 10:00 AM on SISTIC's website; www.sistic.com.sg. Ticekts are priced at SGD148, but if you buy three tickets, then you're entitled to the Group Package rate of SGD138 per ticket. Earlier it was announced that the Linkin Park rapper Mike Shinoda would be in Bangkok for his debut solo show on 9 August 2018. 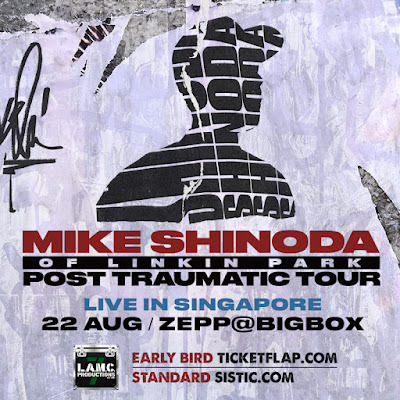 Shinoda's 'Post Traumatic' tour is to promote his solo EP of the same name that was released back on 25 January 2018. The work is the result of Shinoda's way of dealing with the death of Linkin Park's frontman and his dearest friend, Chester Bennington. 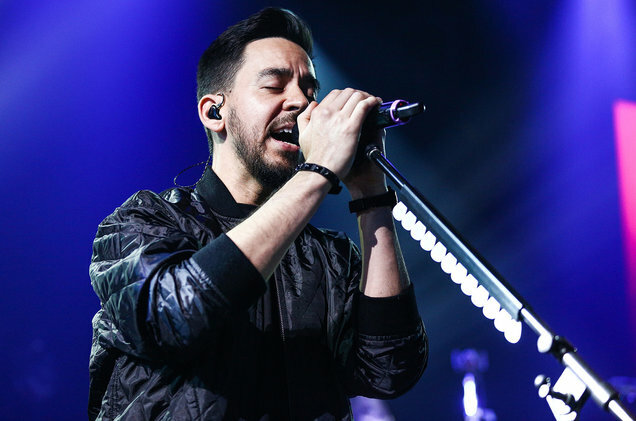 Attendees of the 'Post Traumatic' tour will probably also get to hear new material as Shinoda is releasing an album this 15 June which will include six tracks; three taken from the "Post Traumatic" EP and three new songs.